Hello Friends, It’s so nice to be back in the groove of things and being creative again. Not only am I stamping, but I am also working on wedding preparations again and it feels good. I really love how this card came out! The turquoise and red are heat embossed with some really bold embossing powder. Also, if you have never used Nuvo drops before…you need to run out and get yourself some! LOVE THEM!!!!! Card info: Script background stamp is Stampabilities, The flowers and leaves are MFT- Bold Blooms, and the sentiment is from Close to My Heart. Beautiful card layout and lovely colors too. So pretty. Love the turquoise and red too. 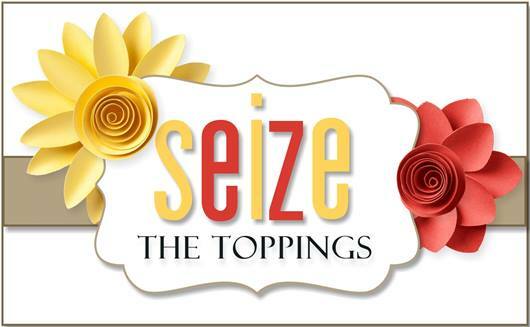 Pretty flowers and great text background. This is so bold and beautiful, Nancy. I can see the texture the heat embossing made and the script separates the blue flowers from the blue background in great way. I absolutely love it! What amazing colors! Love how you’ve incorporated each of them into such a great design, even the script background, everything fits in perfectly!! A wonderful combination of colors. So bright and happy. Loving how these colors work together. Awesome layout and what a fabulous color combo! Wow this is fabulous, Nancy! 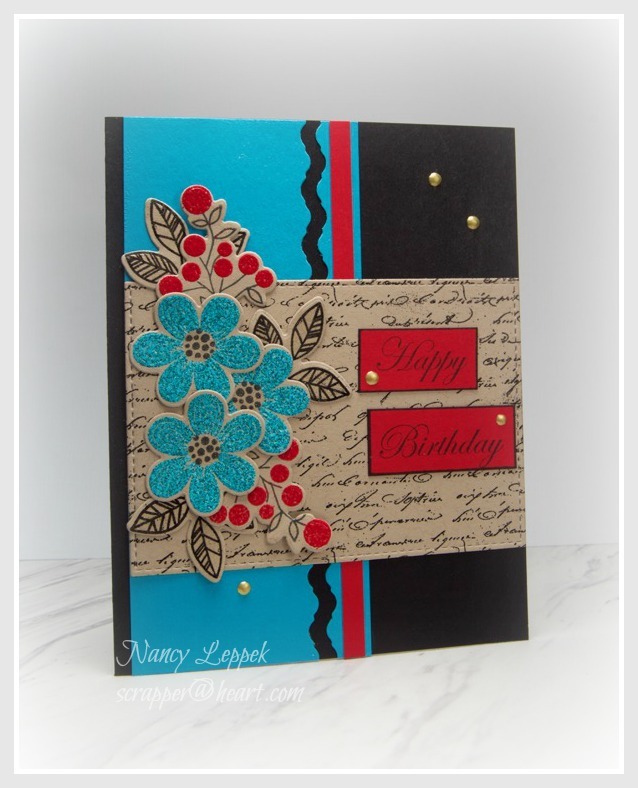 I love the bold colors and they look great embossed on craft. I bought two bottles of Nuvo drops but I’m afraid to use them, lol! I’m afraid I’m going to make a mess and ruin a good card. You have it all figured out, though! Such a bright and beautiful card! Love the layout too. Absolutely fabulous.